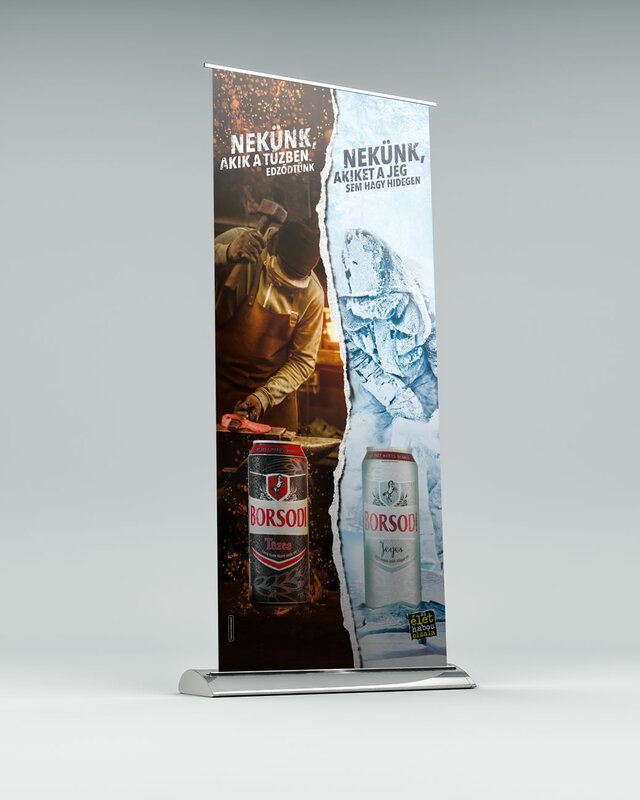 Combining the two new brands of new tastes - Borsodi Tüzes and Jeges - we designed shared visuals to promote these products. We needed to keep in mind the possible post production works of this identity while designing and compositing it, so it would be easily mutated for various dimensions with a little effort and show a contrast but standard look. After the shared visual was finished, we could design and do prepress works of actual print products like tabletents, beercan pricesigns, POS (Point-of-Sale) elements, rollups, hostess table and shelfgate. Application of brand visual elements to develop promotional elements for Borsodi Nitro beer specialty. 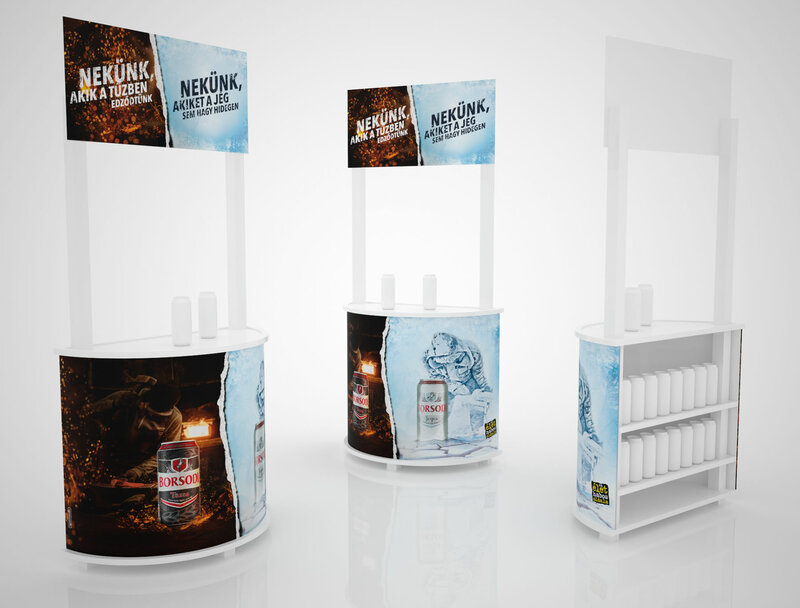 Design works of unusal shapes and sizes of display for various brands with prepress. Miller Genuine Draft beer brand applied fridge sticker and bottleneck pricesign designs. 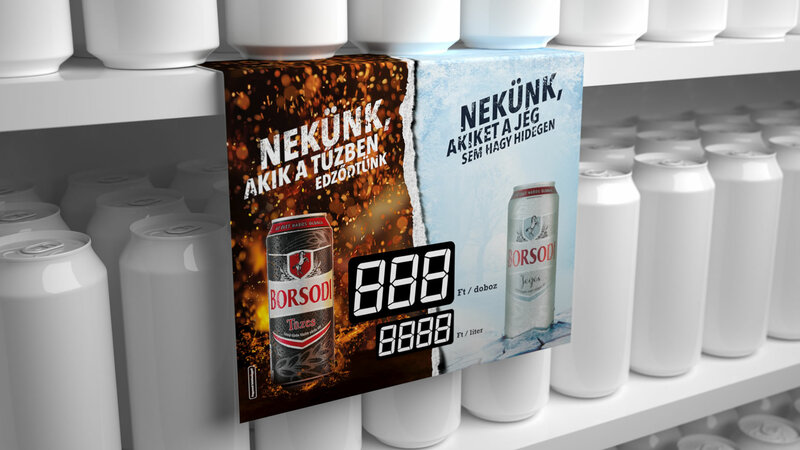 Can and bottle price board design for Borsodi Sörgyár. Holiday special banner designs for social media channels of Kangoo Jumps with vivid and happy colors. 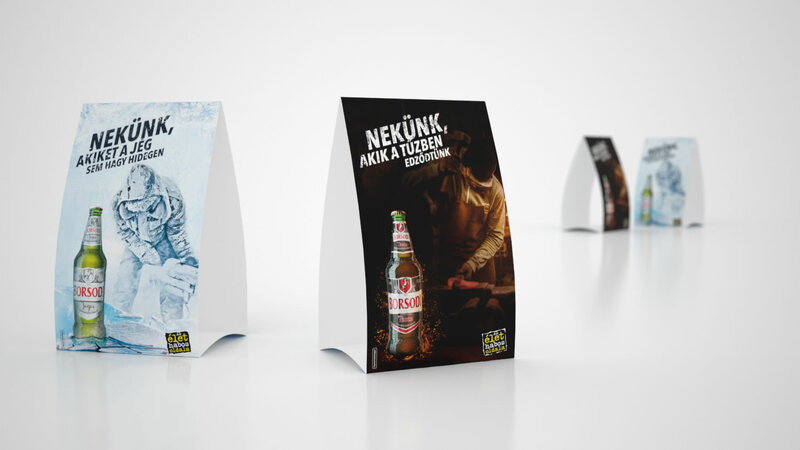 Price Board and other POS elements design based on the latest visual for Borsodi Sörgyár.